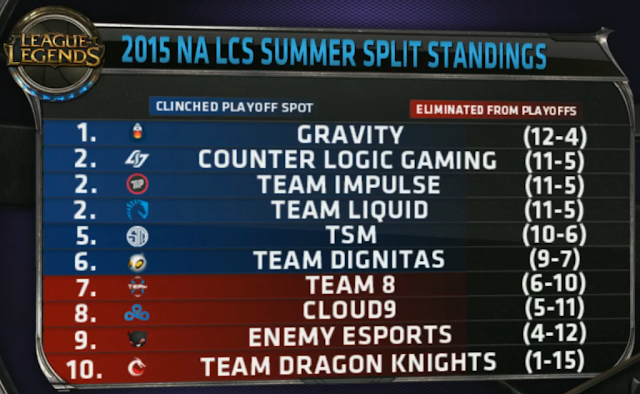 We're moving on to week 9, the last week of normal LCS play! Following accusations of ELO boosting and a suspension by Riot Games, XiaoWeiXiao will not be playing with Team Impulse. for week nine. In his absence, Gate will substitute as staring mid and Adrian will be returning as support. Team statement available here. Week 9 is the LAST week of normal league play! The Summer Playoffs will continue on August 8th with the Quarterfinals stage leading up to the finals on August 23rd.